When you track your progress, you can set goals and improve your performance quicker and more efficiently. 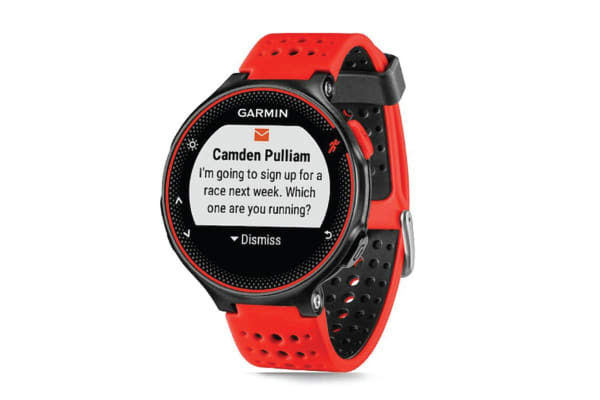 The Garmin Forerunner 235 will help you do just that. With tracking this clever and simple to use, you’ll be smashing your PBs in no time. Why not set yourself a running challenge or download advanced workouts and training plans from the Garmin Connect app*? You can easily measure and compare your results with friends via charts, graphs, maps and more that let you view your activities and track progress toward goals. 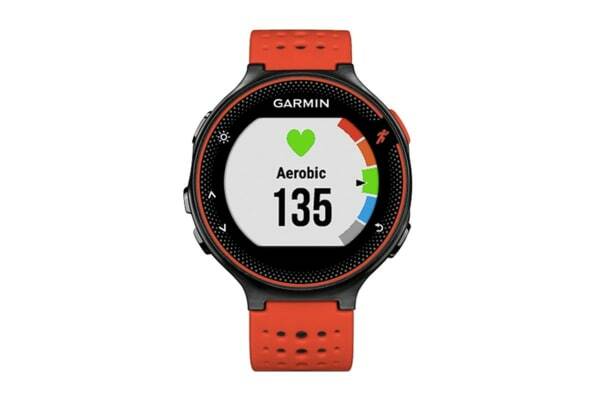 The innovate wrist-based heart rate tracker means you can run unrestricted without a strap, and the bright, colourful screen shows your heart rate zone and BPM in real time. The stylish design makes the Garmin Forerunner 235 a great choice for everyday activity tracking as well as serious exercise. You can count your steps or calories throughout the day, and it’ll even remind you to move if you’ve sat still for too long.